Our newest block of the month is Improv Block, brought to us by Judy and Teri. Use the instructions below to make your block. Our color palette for this month is Emerald City. Use solids from the color palette below for your background. Any brand is fine. Complete as many blocks as you’d like. Each block is an entry into the drawing for the block lotto. Bring your finished block(s) to the May meeting for a chance to win them all during the block lotto! We can’t wait to see what you make and what unique layout the winner will choose! 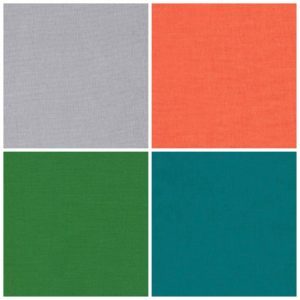 Choose medium gray solids for your background fabrics. If it looks like medium gray to you, it is. Cut a bunch of 7” squares. You’re not going to want to stop at one. Cut off one corner of each square, being sure to vary the angle of the cuts. Resist the urge to stack the squares and make only one corner cut. This is improv! 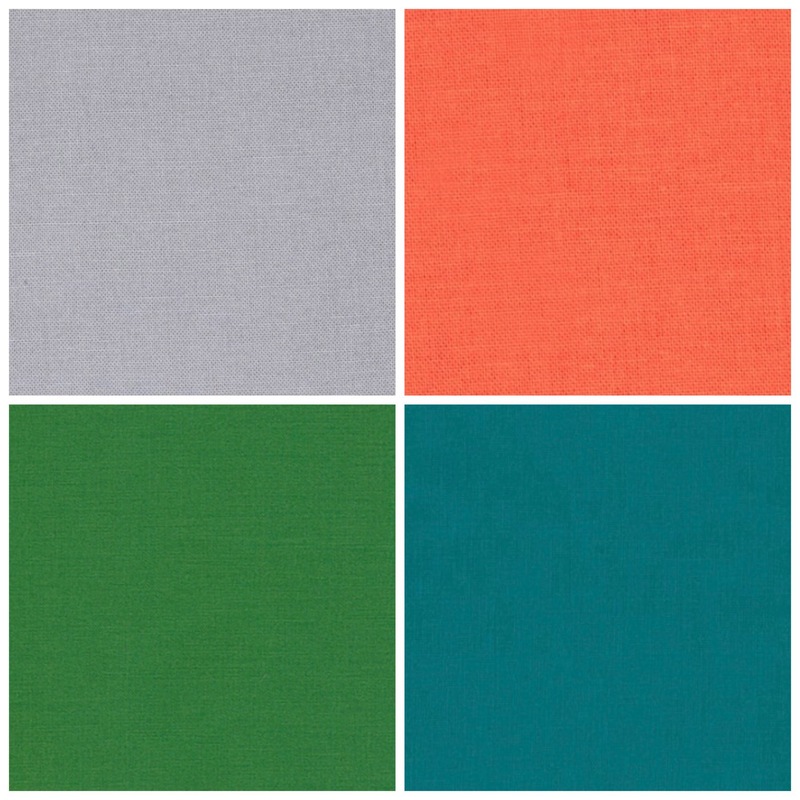 Search your stash for prints and solids in (or near) the project colors. We have included black-and-white fabrics for added interest. Cut selected fabrics into strips of varying widths. (Maybe ¾” to 1.5”) Wonky cuts are great. HINT: If you cut the strips for all of your blocks up front, you can take the squares and strips to your machine and create as you sew. The number of strips in each block and their placement order are entirely up to you. Randomness reigns! Is the tip missing? Just add a scrap and trim it up to finish off the block. After all strips have been sewn to your satisfaction, square the block to 6.5”. Press all seams toward the strip corner.